Julie Chen revealed on Tuesday's show via recorded message that she is leaving "The Talk," after eight years to spend more time with her family following her husband Leslie Moonves's ouster from CBS in the wake of sexual harassment allegations. Chen has not appeared on the daytime talk show since her husband's exit from the network was announced. Moonves' exit comes after a second round of sexual misconduct allegations brought to light by Rowan Farrow in stories in The New Yorker. While Chen hasn't sat alongside co-hosts Sara Gilbert, Sharon Osbourne, Eve and Sheryl Underwood on "The Talk," she did appear in her other regular CBS gig, hosting "Big Brother." 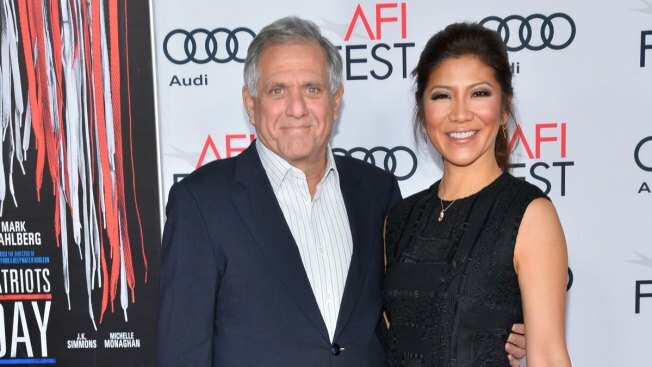 For the first time, she signed off "Big Brother" using her married name, Julie Chen Moonves, in what seems to be a clear sign of support for her embattled husband. Moonves has denied the allegations. Following the first round, Chen spoke out and defended her husband on Twitter and on "The Talk." "Some of you may be aware of what's been going on in my life for the past few days," Chen said at the end of July 2018. "I issued the one and only statement I will ever make on this topic on Twitter. I will stand by that statement today, tomorrow, forever." Following his exit from the company, Moonves issued the following statement: "For the past 24 years it has been an incredible privilege to lead CBS's renaissance and transformation into a leading global media company. The best part of this journey has been working alongside the dedicated and talented people in this company. Together, we built CBS into a destination where the best in the business come to work and succeed. "Untrue allegations from decades ago are now being made against me that are not consistent with who I am. Effective immediately I will no longer be Chairman and Chief Executive Officer of CBS. Request for comment from CBS regarding Chen's exit was not immediately returned. According to The Hollywood Reporter, Chen is expected to exit "The Talk" on Tuesday, Sept. 18 via a taped message.